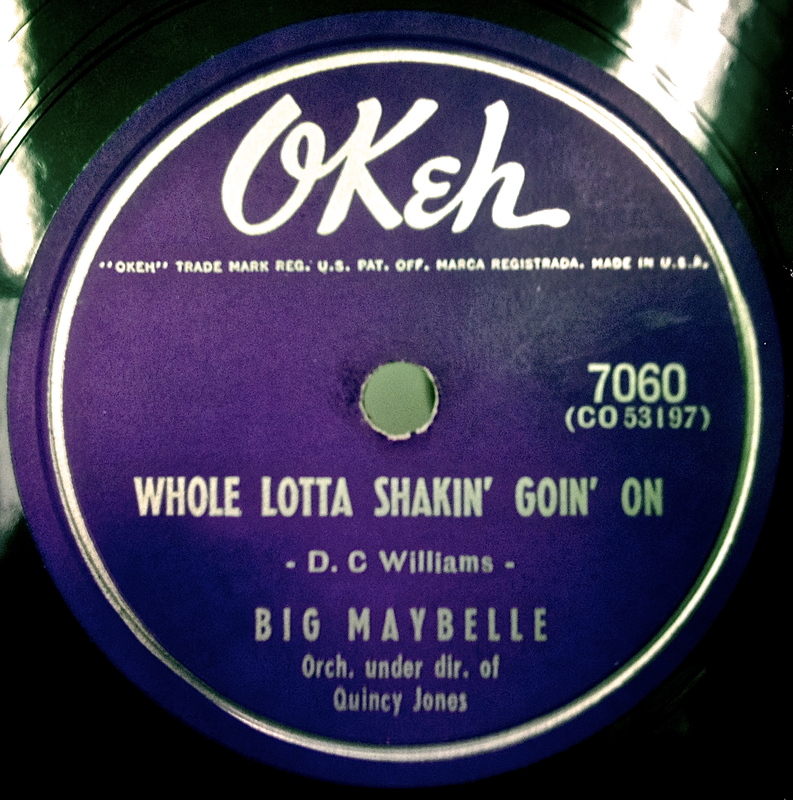 1955 saw the release of the “Whole Lotta Shakin’ Goin’ On.” This was the first recording of the song, two years before Jerry Lee Lewis’s more frenetic version and eighteen years before Lee Hazlewood’s typically laconic version. Maybelle and her band swing strong and steady, with lyrics that differ a bit from we’d later hear. Produced by Quincy Jones, who is no stranger to the work featured on this blog. The keener-eyed of you might be wondering what this song is doing in the 78s section, since the disc pictured in the video is clearly a 45. Well, the two formats co-existed until roughly 1960. Record companies didn’t want to alienate customers who had yet to acquire a turntable that could play 45‘s, so the old format kept going a good 12 years after 45s were introduced. In some countries—Finland and India, for example—78s were produced well beyond their end here in the States. The B side is “One Monkey Don’t Stop No Show,” a tune that has also been covered more than a few times. An excellent choice for a post-breakup mixtape/playlist. Maybelle moved on to Savoy Records in 1956, when she had one of her biggest hits with “Candy.” Big thanks to The Cosby Show for introducing us 80’s kids to so much good music that we’d likely never otherwise hear.Bonus thanks is given for usually playing the entire song, a risky move in a 22 minute format.